Ever have those shopping moments where you buy something that "looks" cute as you head to the check out with out trying it on, only to get home and hate it? Yeah, me to. This dress is from one of those shopping moments. I picked it up on a quick shopping trip before leaving for the beach last year. When I got to the beach and went to put it on I hated it! The top looked like a corset with visible underwire bra-so not me. When I returned home I stuffed it in the back of the closet and completely forgot about it. Then I saw Meagan's (from Love Meagen) MIY (HERE) and instantly wondered if I could make this dress actually wearable for me. So off I went to relearn how to sew and see if I could accomplish this which I did! I am now so in love with this dress and I have Meagan to thank! 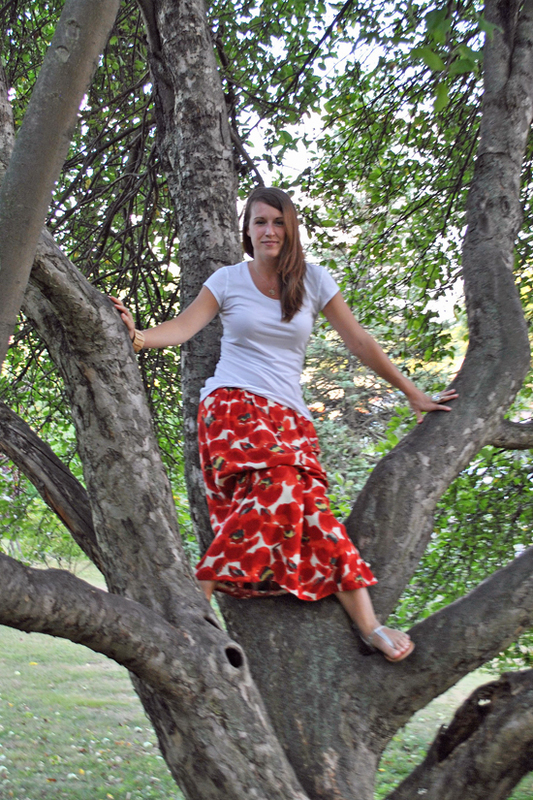 I'm a little ashamed to admit this but I swear I think I wear this skirt at least once a week. 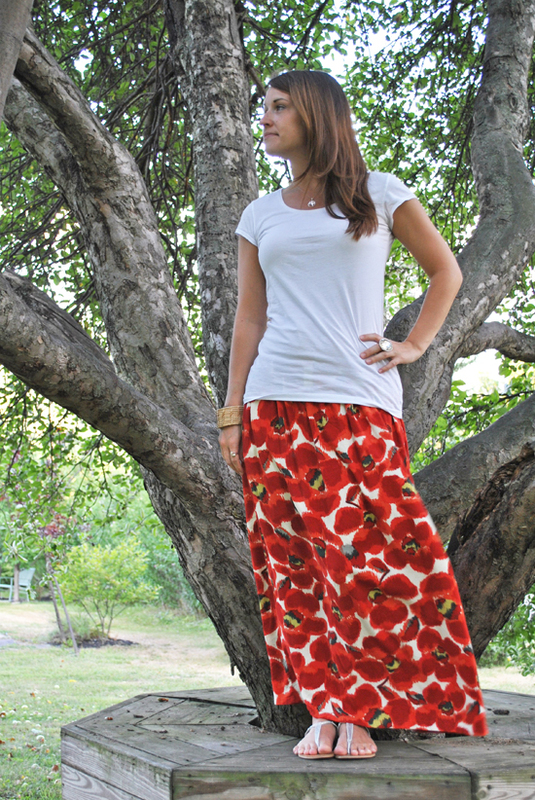 It's just so easy and comfortable to wear on these warm summer days. 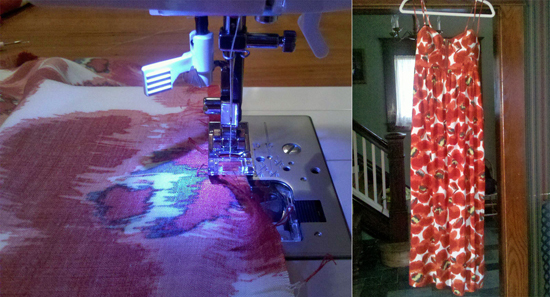 Hopefully this post will help or inspire you to turn some of your unwearable dresses into something wearable! PS-Isn't this location fun? 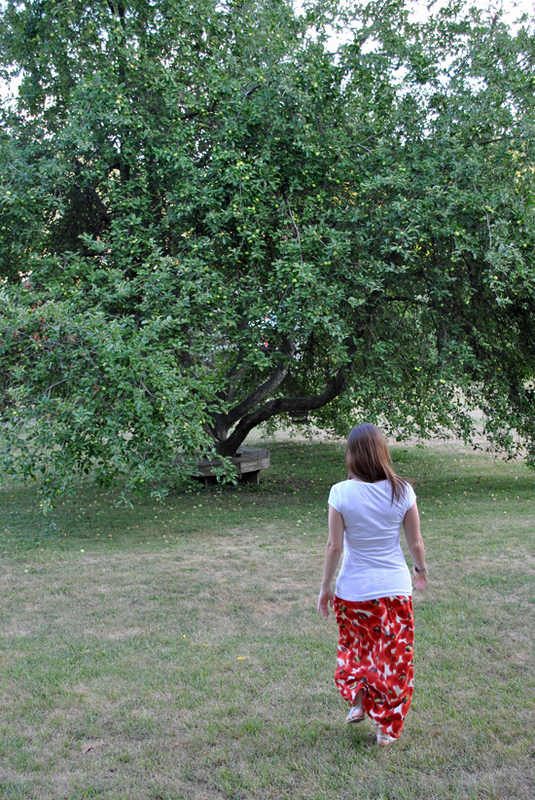 I wore this outfit to church on Sunday and saw this gorgeous crab apple tree on the church grounds. Thank you Tara for taking the photos! PSS- Thank you Meagan for inspiring me! That quote is one of my favorites! Great job turning the dress into a skirt. I love the pattern. Absolutely beautiful!